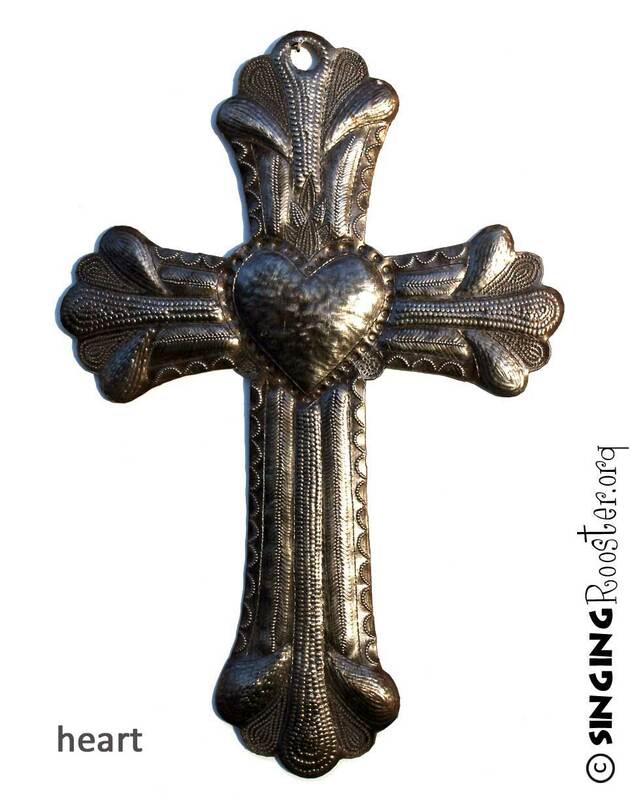 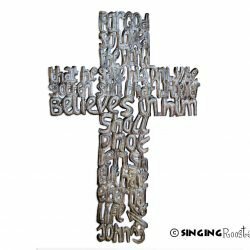 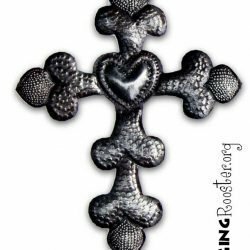 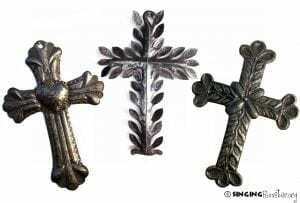 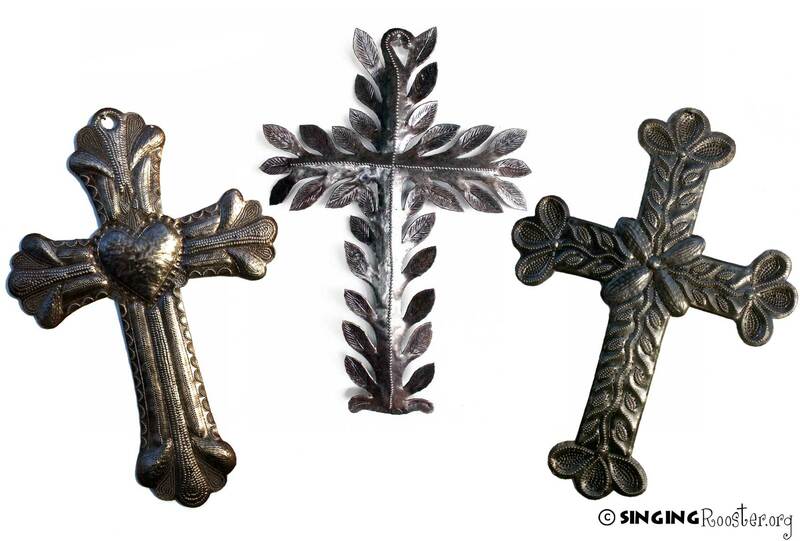 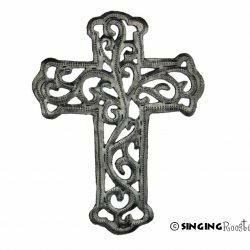 Exquisite Metal Crosses — 3 designs — hand cut from upcycled metal. About 12” tall x 8.5” wide; hole at top for hanging (use finishing nail – looks great, discrete). 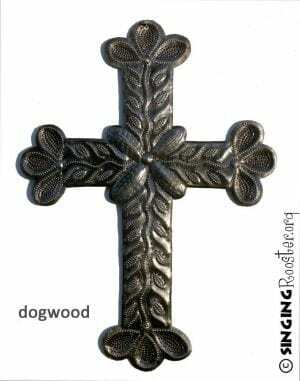 Handmade in Croix des Bouquet Haiti. 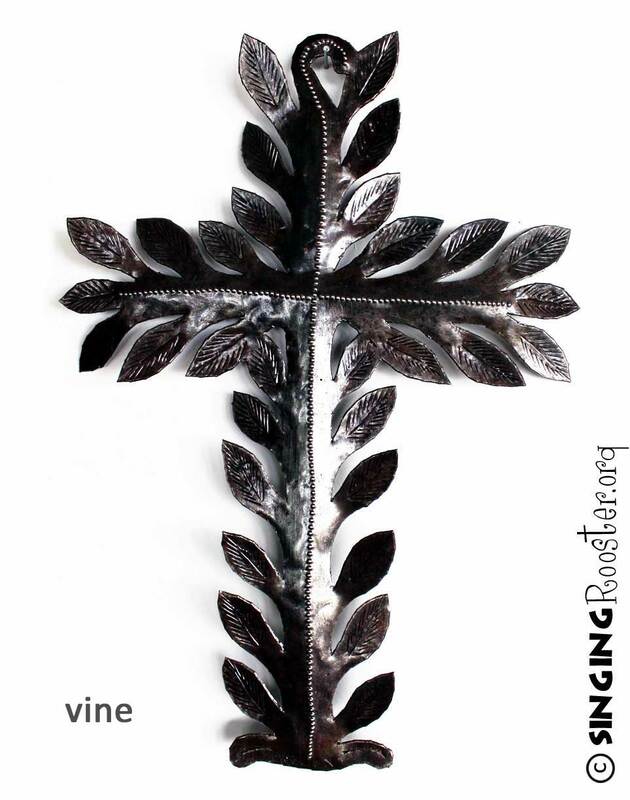 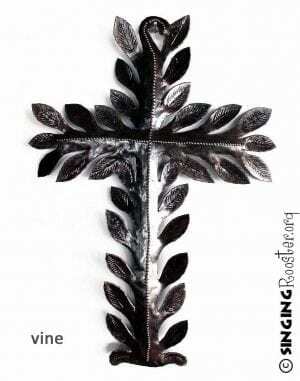 Beautiful and delicate artistry; hand stippling and molding of metal — vines, hearts, dogwood flowers.